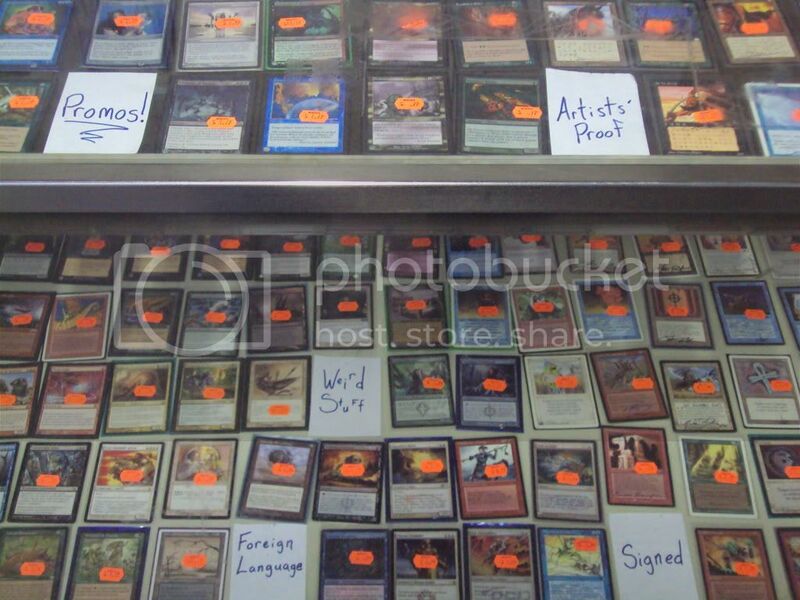 Magic Singles - Signed, Foil, Artists' Proof, Foreign, Etc. Posted: Sun Dec 25, 2011 3:23 am Post subject: Magic Singles - Signed, Foil, Artists' Proof, Foreign, Etc. We've switched things up in one of our Magic singles cases. We now have an entire case full of interesting collectibles, including foil cards, promo cards, foreign language singles, artists' proofs, signed cards, and other assorted gems. Please note, though, that this special case doesn't have cards separated by Type I and Type II like our cases usually do. Come on in and check them out. Hopefully you'll find that unusual card that makes your deck or your collection something different than all the others.